A parent wondering whether to try this drastic treatment may struggle to separate fact from fiction. Doctor's Data, a private lab based in St. Charles, Illinois, sells a test that parents can use to measure the levels of heavy metals in their child's urine. 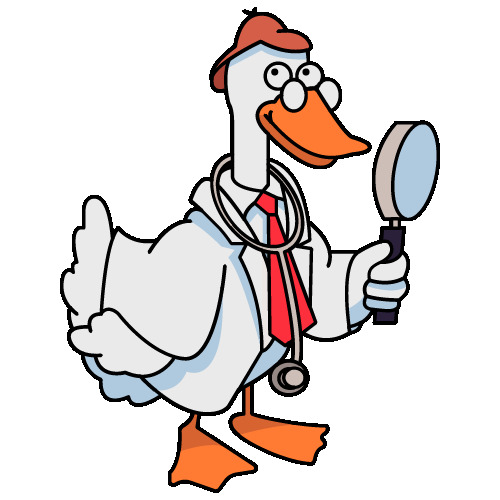 But an investigation by the medical website Quackwatch found that the Doctor's Data test gave results that were misleadingly high. Doctor's Data did not reply to a request from New Scientist for comment. We demand that you cease and desist any and all comments regarding Doctor's Data, which have been and are false, fraudulent, defamatory or otherwise not truthful, and make a complete and full retraction of all statements you have made in the past, including those which have led in some instances to litigation. Such comments include, but are not limited to, those made in your article entitled, "How the 'Urine Toxic Metals' Test Is Used to Defraud Patients," which you authored and posted on Quackwatch.com. "The best evidence for reckless disregard," you have written, "is failure to modify where notified." Consider this notice to you that if you do not make these full and complete retractions within 10 days of the date of this letter, in each and every place in which you have made false and fraudulent, untruthful or otherwise defamatory statements, Doctor's Data will proceed with litigation against you and any organizations, entities and individuals acting in common cause or concert with you, to the full extent of the law, and will seek injunctive relief and monetary damages, both compensatory and punitive. I take great pride in being accurate and carefully consider complaints about what I write. However, your letter does not identify a single statement by me that you believe is inaccurate or "fraudulent." The only thing you mention is my article about how the urine toxic metals test is used to defraud patients: (http://www.quackwatch.org/t). The article's title reflects my opinion, the basis of which the article explains in detail. If you want me to consider modifying the article, please identify every sentence to which you object and explain why you believe it is not correct. You have been making false statements about Doctor's Data and have damaged this company's business and reputation, and you have done so for personal gain and your own self-interest, disguised as performing a public service. Â Your writings and conduct are clearly designed to damage Doctor's Data. Â If you don't retract your false claims and issue a public apology, the lawsuit will be filed. My letter asked you to identify the claims that you believe are false. You have not identified a single sentence that you believe is inaccurate. Since you have failed to do so, I have no choice but to assume that you cannot. My offer remains open, as it is to anyone who is criticized on any of my sites. If you identify anything that you consider inaccurate, I will seriously consider what you say and act accordingly. True to their threat, Doctor's Data filed suit. To help Dr. Barrett with his legal defense, go to this page. The correspondence of Barrett and DDI is literally identical to Kafka's "The Trial". It's obvious "Doctor's Data" never intended to give him any option other than taking down everything about them or facing a lawsuit. I think there's a strong possibility their suit will be dismissed for this reason alone. It also appears that they are trying to blame him for legal actions against them, to cast doubt on the latter's legitimacy. There can be some consolation that the case is not being tried under British libel law.